Do you collect box tops for your local school? When we home-schooled, I didn't pay much attention to box tops, but when the boys moved into public school, we began to learn about them. It's an easy way to help schools raise money for much needed equipment, supplies, and more. When you purchase something from General Mills that has a "Box Top for Education" graphic, then you can cut those out and send them in with your child to school. The school gathers them up and sends them in to redeem. It's easy for everyone! Right now, as part back to school, Wal-Mart has teamed up with General Mills and is offering certain items that offer even more box tops than usual! You can visit the "Earn More For My School" website to learn the details, but basically, if you purchase specially marked items at Wal-Mart, they will be worth 4 box tops, instead of one. 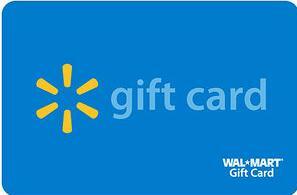 I'm excited that I have a $25 Wal-Mart gift card to send out to one of my wonderful readers, thanks to Wal-Mart and General Mills. If you'd like to enter the giveaway, you will CLICK HERE (yep, right on those words!) and fill out my Google docs giveaway form. On August 25, 2012, I will randomly choose one entry to receive the gift card. Find out more about Box Tops for Education at their Facebook site, or on Twitter. We need one more smart board!